If you have been researching the doctrine of hell for any significant amount of time, you are bound to have encountered the debate over the meaning of the biblical language of destruction. Conditionalists like ourselves argue that in contexts of final judgment, Greek words like apollymi (to destroy), apoleia (destruction), and olethros (destruction) consistently communicate that the wicked will actually be destroyed, or ended, by God.1For instance, see Glenn Andrew Peoples, “Introduction to Evangelical Conditionalism”, in Rethinking Hell: Readings in Evangelical Conditionalism, eds. Christopher M. Date, Gregory G. Stump, & Joshua W. Anderson, Kindle ed. (Cascade Books, 2014), Kindle locations, 675-717, 830-838;2See also John Stott, “Judgment and Hell”, in Rethinking Hell: Readings in Evangelical Conditionalism, eds. Christopher M. Date, Gregory G. Stump, & Joshua W. Anderson, Kindle ed. (Cascade Books, 2014), Kindle locations, 1312-1336; John W. Wenham, “The Case for Conditional Immortality”, in Rethinking Hell: Readings in Evangelical Conditionalism, eds. Christopher M. Date, Gregory G. Stump, & Joshua W. Anderson, Kindle ed. (Cascade Books, 2014), Kindle locations, 1915-1939; John Stackhouse Jr, “Terminal Punishment”, in Four Views on Hell, ed. Preston Sprinkle, Kindle ed. (Zondervan, 2016), Kindle locations, 1216-1344. In response, those holding to the traditional view of hell such as John Blanchard have argued that this language does not denote annihilation when it is used of humans.3John Blanchard, Whatever Happened to Hell, Kindle ed. (EP Books, 1993), Kindle locations, 4371-4422. Eldon Woodcock examined the terminology, concluding that “the usage of apollymi/apoleia (destroy, perish, destruction) in the NT conveys various nuances of destruction–none of them annihilation causing cessation of existence.”4Eldon Woodcock, Hell: An Exhaustive Look at a Burning Issue, Kindle ed. (WestBow Press, 2012), Kindle locations, 4113-4114. D. A. Carson argues that these words do not necessarily include the sense of “extinction,”5D. A. Carson, The Gagging of God: Christianity Confronts Pluralism, Kindle ed. (Zondervan, 1996), Kindle locations 11888-11900. and Tim Barnett and Greg Koukl assert that “In the Bible, destruction language is not synonymous with nonexistence.”6Tim Barnett and Greg Koukl, “Hell interrupted: Part 2” [blog], https://www.str.org/solidgroundnovember2017hellinterruptedpart2#.XKG7YfZuJjo, (accessed April 1, 2019). For Douglas Moo, when Paul uses the terms they refer merely to “the situation of a person or object that has lost the essence of its nature or function.”7Douglas J. Moo, “Paul on Hell”, in Hell Under Fire: Modern Scholarship Reinvents Eternal Punishment, eds. Christopher W. Morgan & Robert A. Peterson, Kindle ed. (Zondervan, 2007), Kindle location, 2448. For the most part, the traditionalist argument revolves around examining the various ways in which the apollymi/apoleia word group is employed in the New Testament and noting a distinct range of meaning attached to this language. Rethinking Hell has provided good responses to this line of argument, especially in an excellent article by Glenn Peoples, who demonstrates that this reply from traditionalists is susceptible to the charge of the fallacy of illegitimate totality transfer.8Glenn Peoples, “The Meaning of ‘Apollumi’ in the Synoptic Gospels” [blog], http://rethinkinghell.com/2012/10/27/the-meaning-of-apollumi-in-the-synoptic-gospels/ (accessed April 1, 2019). In a related article I have built upon Peoples’ discussion, demonstrating how a close reading of the context of Matthew 10:28 allows only the sense of “to kill” for apollymi in that verse.9Darren J. Clark, “Exegesis Interrupted: A Critique if Stand To Reason’s Article ‘Hell Interrupted, Part 2’” [blog], http://rethinkinghell.com/2018/11/13/exegesis-interrupted-a-critique-of-stand-to-reasons-article-hell-interrupted-part-2/ (accessed April 1, 2019). 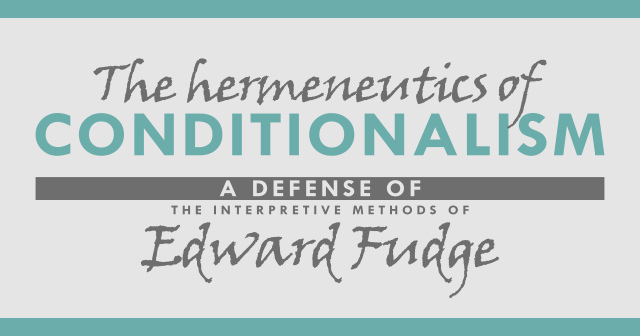 In the current article, I will discuss more broadly some of the biblical and non-biblical examples used by traditionalists to dismiss the conditionalist case from the biblical language of destruction. As noted above, traditionalists typically assume that we must claim that key words like apollymi, apoleia, and olethros mean something philosophical like ceasing to exist, or something scientific like annihilation in the sense of molecular disintegration.10For instance, Robert Morey, Death and the Afterlife (Bethany House Publishers, 1984), 90. Their approach in response, therefore, is heavily weighted towards showing how the words can be used in such a way as to allow some part of the person or thing destroyed to remain after the process of destruction has been complete. I maintain that this is argument is a fundamental misunderstanding of the conditionalist argument, and of how the biblical authors actually use the language of destruction to communicate the end of the wicked at the last judgement. To destroy is to ruin. The nature of that ruin depends on the nature of the subject of which it is predicated. A thing is ruined when it is rendered unfit for use; when it is in such a state that it can no longer answer the end for which it was designed.14Charles Hodge, Systematic Theology: The Complete Three Volumes in Four Parts, Kindle ed. (GLH Publishing, no date given), Kindle locations, 30385-40495. In order to support this view of destruction, traditionalists frequently appeal to the use of apollymi in relation to wineskins (Matt 9:17; Mark 2:22; Luke 5:37). Their point is that the destroyed wineskins do not go out of existence, but have become leaky and can no longer function as intended, to store the wine.15Moo, “Paul on Hell”, Kindle locations, 2456-2464; Woodcock, Hell, Kindle location, 3717-3726; Woodcock, Hell, Kindle locations, 3717-3726. We may question the legitimacy of using this characterization of what happens to old wineskins to provide an alternative understanding of “destroy” for key texts like Matthew 10:28 (“destroy both body and soul in Gehenna”). For one thing, when humans are punctured like wineskins we can easily bleed to death, which follows even more swiftly if one of our vital organs is involved.16For a discussion on how this supports the conditionalist reading of Matthew 10:28 see my “Exegesis Interrupted: A Critique if Stand To Reason’s Article ‘Hell Interrupted, Part 2’” [blog], http://rethinkinghell.com/2018/11/13/exegesis-interrupted-a-critique-of-stand-to-reasons-article-hell-interrupted-part-2/ (accessed April 1, 2019). But ancient wineskins didn’t simply develop leaks. Instead, they were sewn together from pieces of sheep or goat skin, which, as leather does over time, would age and become brittle.17Darrell L. Bock, Luke: 1:1-9:50, (Baker Books, 1994), 520. Being filled with heavy liquid, at some point they would essentially explode into torn pieces, an image emphasized by each Synoptic author with the verb “burst” (ῥήγνυμι, rēgnumi).18Frederick William Danker (ed. ), et al, A Greek-English lexicon of the New Testament and other early Christian literature, 3rd ed., (University of Chicago Press, 2000), 904. If the kind of destruction depicted here is supposed to represent what happens to both body and soul in Matthew 10:28, then it would most naturally communicate a destruction of the person themselves. Humans are sentient, which is fundamentally different from inanimate objects like wineskins. So if the wineskins example applies, that kind of complete destruction would rob a person of life and the faculty of consciousness. Far from showing how the wicked would be left in a ruined state unfit for their intended purpose, this only reinforces the conditionalist view that destruction here deprives people of their very lives. Other biblical examples cited by traditionalists in support of taking destruction language for final punishment to mean ruin, include the destruction of property by thieves (John 10:10), the idea of perishing gold (1 Peter 1:7), and perishing food (John 6:12, 24).19For instance, see Woodcock, Hell, Kindle locations, 3709-3738. As in the case of wineskins, the kind of ruin inflicted in these examples would normally kill a person. In 1 Peter 1:7, Peter’s point is that even gold will ultimately be done away with in a final fiery judgment (destroyed completely), despite its ability to survive the refining process now.20Karen Jobes, 1 Peter, Kindle ed., (Baker Academic, 2005), Kindle locations, 2424-2425. “The supposition is that sheep are stolen not in order to be added to someone else’s flock, but to be slaughtered for food, and thus “destroyed.” The accent is on “destroy,” for being “destroyed” or “lost” is in this Gospel the very opposite of gaining “eternal life” (see 3:16; 6:39–40). Here the thief comes to “destroy,” while Jesus comes “that they might have life.”24Michaels, The Gospel of John, Kindle locations, 10004-10005. This is a far cry from Woodcock’s explanation that John 10:10 refers to the mere ruin of items not stolen by the thief, an explanation which does not adequately account for the text in all its details.25Even if Woodcock is correct the kind of destruction a thief could leave (breaking furniture, etc.) would often kill a person. Woodcock, Hell, Kindle locations, 3729–3731. Similarly, Woodcock’s example of perishing food is quite odd (John 6:12, 27).26Ibid., Kindle locations, 3733-3738. Woodcock is correct that spoiled food is useless for its intended purpose of sustenance, but his insistence that it does not go out of existence flies in the face of the natural observation that essentially nothing is left of food once it inevitably decomposes. It is telling that in John 6:27, Jesus challenges his audience to choose food that “endures to eternal life” rather than food that will perish. This contrast between food which perishes and food which endures forever removes any doubt about what it means for ordinary food to perish. It does not simply mean that the fruit can no longer be used for its intended purpose, but depends on the idea of the ending of the fruit itself through decomposing. But traditionalists also use the example of the destruction of land in Ezekiel 6:14 and 14:16, which Christopher Morgan frames in terms of its lost fruitfulness.27Christopher W. Morgan, “Annihilationism: Will the Unsaved Be Punished Forever?”, in Hell Under Fire: Modern Scholarship Reinvents Eternal Punishment, eds. Christopher W. Morgan & Robert A. Peterson, Kindle ed. (Zondervan, 2007), Kindle locations, 4943-4950. While it’s true that destroyed land cannot bear fruit, Morgan ignores the fact that such fruitlessness results from the land itself being desolated to the point of no longer supporting or produce life. A search of the Hebrew word for “desolation” used in Ezekiel 6:14 and 14:16 reveals that it is commonly used to communicate the reduction of land and cities to a literal heap, i.e. concrete ruins rather than an abstract concept of ruin, often with an emphasis on no human life remaining there. The picture is one of complete dismantling of what the land and cities once were, so that they became unlivable.28I include the list of references from my stepbible.org search so the reader can verify this. https://www.stepbible.org/?q=strong=H8077a|version=ESV&options=VHNUG&qFilter=H8077a As with the wineskins, if this kind of destruction were to be inflicted upon people themselves, they would not remain alive with some ruined purpose, but would be well and truly dead. Extra-biblical examples of destruction fare no better. For instance, as an example of the kind of destruction he thinks the Bible has in view, John Blanchard points to the 1992 Los Angeles race riots, in which widespread damage was inflicted on property in various districts.29Blanchard, Whatever Happened to Hell, Kindle locations, 4405-4422. He writes that “The damage was certainly horrific; hundreds of buildings were gutted, millions of dollars’ worth of damage was done and many people were killed. South central Los Angeles lay in smouldering ruins—but it was not annihilated.”30Ibid. Moo uses the example of a tornado destroying a house, arguing, “The component parts of that house did not cease to exist, but the entity ‘house,’ a structure that provides shelter for human beings, ceased to exist.”31Moo, “Paul on Hell”, Kindle locations, 2459-2469. Similarly, Roger Nicole appeals to wrecked vehicles that are “so damaged and twisted that the car has become completely unserviceable.”32Cited in Alan Gomes, Evangelicals and the Annihilation of Hell, Christian Research Journal, (Spring 1991), 18; see also Larry Dixon, The Other Side of the Good News: Confronting the Contemporary Challenges to Jesus’ Teachings on Hell, (Christian Focus Publications, 2003), 97. All of these examples of destruction resulting in loss of function or usefulness do not actually justify taking the biblical destruction language–as applied to final punishment of human beings–to refer to the more limited concept of ruin. They are typically offered to show that the remains of a destroyed person or thing continues in existence, assuming that our view requires destruction to denote non-existence, or molecular disintegration of all constituent parts. But this is not even something conditionalists deny! Instead, the concept they overlook, which they deny and we affirm, is that of the finally unsaved being killed, or rendered lifeless. This concept is all that needs to be investigated through the language of destruction. With that key question in mind, Matthew 10:28 becomes an important verse helping us to relate human death to the destruction of the wicked in Gehenna (final punishment), establishing that the kind of destruction inflicted is the kind that will kill them completely.33See my article cited above. There is no need for speculation about whether or not there are any “remains” of the body or soul post-destruction, since the point is that the destruction results in a complete death, compared to something only partial and incomplete when inflicted by mere men. Just as a corpse is robbed of all life and consciousness, so also the destroyed person in Gehenna will be lifeless, without any faculty of consciousness. The whole person will be dead and gone. It is this point that traditionalists usually fail to grasp, and the reason most conditionalists find them utterly unconvincing when they are debating the meaning of the biblical language of destruction. In order to do better, traditionalists simply have to abandon their current line of argument that the Bible teaches a kind of destruction that renders the person or thing merely useless for its intended purpose, while somehow preserving its life or essence. This argument is too reductionistic, and is powerless to address the core conditionalist argument from the biblical language of destruction. 2. ￪ See also John Stott, “Judgment and Hell”, in Rethinking Hell: Readings in Evangelical Conditionalism, eds. Christopher M. Date, Gregory G. Stump, & Joshua W. Anderson, Kindle ed. (Cascade Books, 2014), Kindle locations, 1312-1336; John W. Wenham, “The Case for Conditional Immortality”, in Rethinking Hell: Readings in Evangelical Conditionalism, eds. Christopher M. Date, Gregory G. Stump, & Joshua W. Anderson, Kindle ed. (Cascade Books, 2014), Kindle locations, 1915-1939; John Stackhouse Jr, “Terminal Punishment”, in Four Views on Hell, ed. Preston Sprinkle, Kindle ed. (Zondervan, 2016), Kindle locations, 1216-1344. 3. ￪ John Blanchard, Whatever Happened to Hell, Kindle ed. (EP Books, 1993), Kindle locations, 4371-4422. 4. ￪ Eldon Woodcock, Hell: An Exhaustive Look at a Burning Issue, Kindle ed. (WestBow Press, 2012), Kindle locations, 4113-4114. 5. ￪ D. A. Carson, The Gagging of God: Christianity Confronts Pluralism, Kindle ed. (Zondervan, 1996), Kindle locations 11888-11900. 6. ￪ Tim Barnett and Greg Koukl, “Hell interrupted: Part 2” [blog], https://www.str.org/solidgroundnovember2017hellinterruptedpart2#.XKG7YfZuJjo, (accessed April 1, 2019). 7. 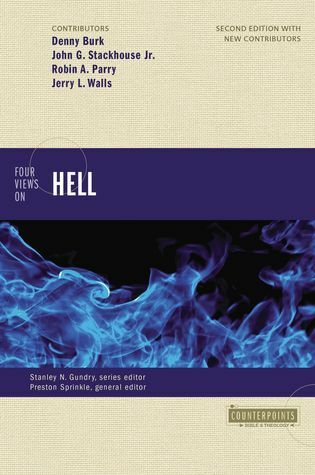 ￪ Douglas J. Moo, “Paul on Hell”, in Hell Under Fire: Modern Scholarship Reinvents Eternal Punishment, eds. Christopher W. Morgan & Robert A. Peterson, Kindle ed. (Zondervan, 2007), Kindle location, 2448. 8. ￪ Glenn Peoples, “The Meaning of ‘Apollumi’ in the Synoptic Gospels” [blog], http://rethinkinghell.com/2012/10/27/the-meaning-of-apollumi-in-the-synoptic-gospels/ (accessed April 1, 2019). 9. ￪ Darren J. Clark, “Exegesis Interrupted: A Critique if Stand To Reason’s Article ‘Hell Interrupted, Part 2’” [blog], http://rethinkinghell.com/2018/11/13/exegesis-interrupted-a-critique-of-stand-to-reasons-article-hell-interrupted-part-2/ (accessed April 1, 2019). 10. ￪ For instance, Robert Morey, Death and the Afterlife (Bethany House Publishers, 1984), 90. 11. ￪ Blanchard, Whatever Happened to Hell, Kindle locations, 4400-4402; J. I. Packer makes the same argument in “The Problem of Eternal punishment:, in Crux 26, no. 3 (September 1990): 20. 12. ￪ Carson, The Gagging of God, Kindle location, 11888. 13. ￪ Moo, “Paul on Hell”, Kindle locations, 2456-2464. 14. ￪ Charles Hodge, Systematic Theology: The Complete Three Volumes in Four Parts, Kindle ed. (GLH Publishing, no date given), Kindle locations, 30385-40495. 15. ￪ Moo, “Paul on Hell”, Kindle locations, 2456-2464; Woodcock, Hell, Kindle location, 3717-3726; Woodcock, Hell, Kindle locations, 3717-3726. 16. ￪ For a discussion on how this supports the conditionalist reading of Matthew 10:28 see my “Exegesis Interrupted: A Critique if Stand To Reason’s Article ‘Hell Interrupted, Part 2’” [blog], http://rethinkinghell.com/2018/11/13/exegesis-interrupted-a-critique-of-stand-to-reasons-article-hell-interrupted-part-2/ (accessed April 1, 2019). 17. ￪ Darrell L. Bock, Luke: 1:1-9:50, (Baker Books, 1994), 520. 18. ￪ Frederick William Danker (ed. ), et al, A Greek-English lexicon of the New Testament and other early Christian literature, 3rd ed., (University of Chicago Press, 2000), 904. 19. ￪ For instance, see Woodcock, Hell, Kindle locations, 3709-3738. 20. ￪ Karen Jobes, 1 Peter, Kindle ed., (Baker Academic, 2005), Kindle locations, 2424-2425. 21. ￪ Grant R. Osbourne, John Verse by Verse, Kindle ed. (Lexham Press, 2018), Kindle locations, 4153-4155. 22. ￪ J. Ramsey Michaels, The Gospel of John, Kindle ed. (Eerdmans Publishing, 2010), Kindle locations, 10002-10014. 23. ￪ Danker (ed. ), A Greek-English lexicon of the New Testament, 463. 24. ￪ Michaels, The Gospel of John, Kindle locations, 10004-10005. 25. ￪ Even if Woodcock is correct the kind of destruction a thief could leave (breaking furniture, etc.) would often kill a person. Woodcock, Hell, Kindle locations, 3729–3731. 26. ￪ Ibid., Kindle locations, 3733-3738. 27. ￪ Christopher W. Morgan, “Annihilationism: Will the Unsaved Be Punished Forever?”, in Hell Under Fire: Modern Scholarship Reinvents Eternal Punishment, eds. Christopher W. Morgan & Robert A. Peterson, Kindle ed. (Zondervan, 2007), Kindle locations, 4943-4950. 29. ￪ Blanchard, Whatever Happened to Hell, Kindle locations, 4405-4422. 31. ￪ Moo, “Paul on Hell”, Kindle locations, 2459-2469. 32. 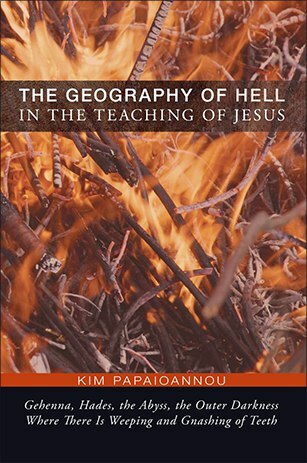 ￪ Cited in Alan Gomes, Evangelicals and the Annihilation of Hell, Christian Research Journal, (Spring 1991), 18; see also Larry Dixon, The Other Side of the Good News: Confronting the Contemporary Challenges to Jesus’ Teachings on Hell, (Christian Focus Publications, 2003), 97. 33. ￪ See my article cited above.